The £77 million Central Campus at Sandwell College is a landmark for education in the Black Country and Birmingham. 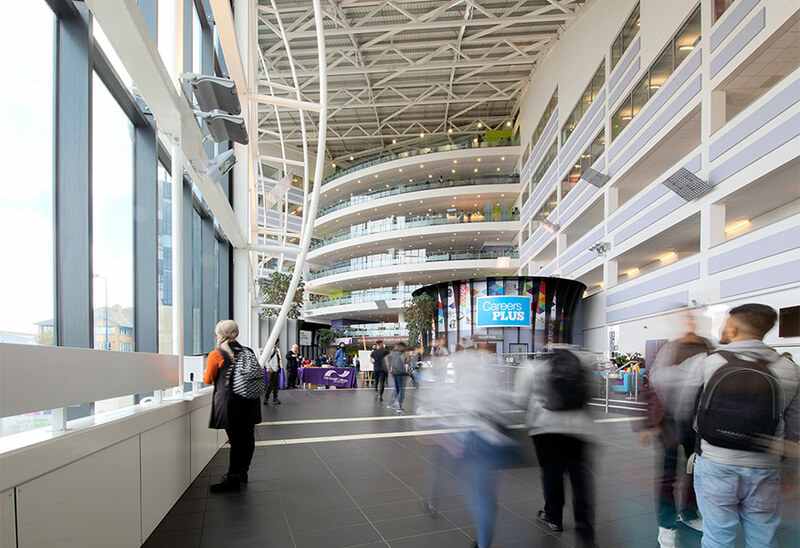 Its architectural structure is an iconic feature of the West Bromwich skyline, with smooth curves and glass atrium, which was recently upgraded, making the campus an attractive destination to work and learn for the 3,600 students that are enrolled at the college. The new atrium design provides a stunning entrance to the campus for enrolled and prospective students as well as visitors. With a tall ceiling, wide open floor space and a glass wall, the atrium is dramatic and does not fail to impress. 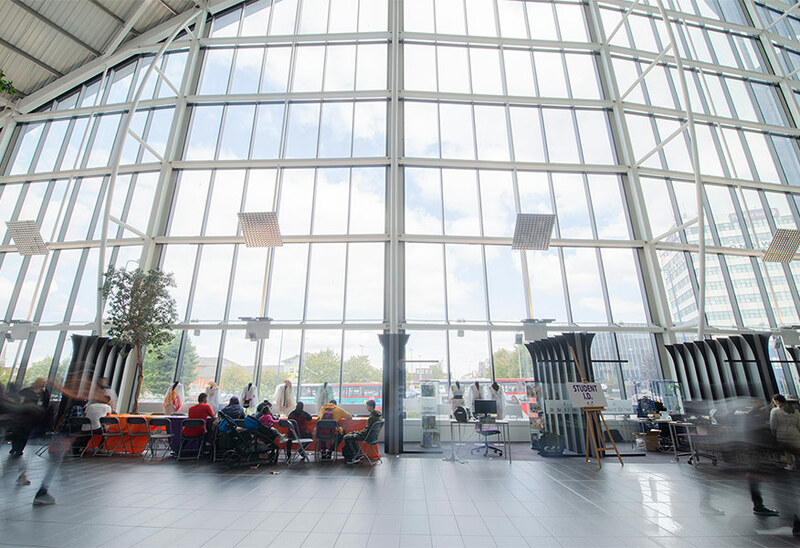 The lighting solution needed to complement the use of natural light, enhance the architectural design of the atrium, and ensure maintenance is kept to a minimum. Upward lighting along the glass wall enhances vertical illumination, with a light distribution that accentuates the expansive, modern, state of the art space. 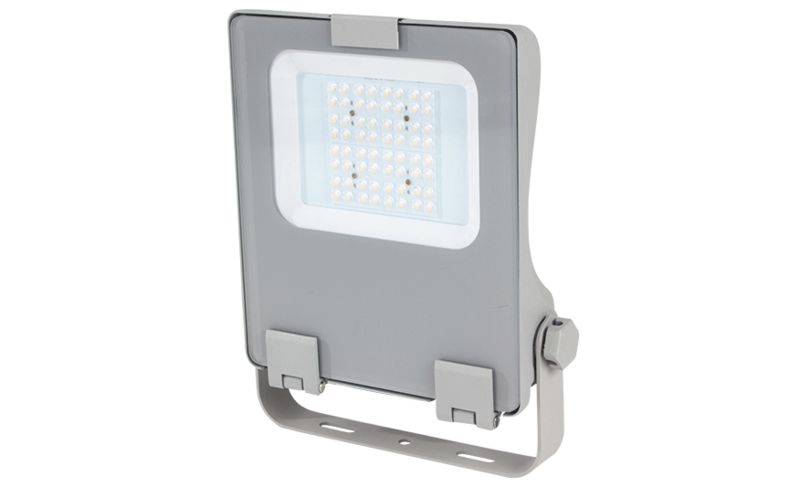 Tamlite Lighting worked across the supply chain, with CEF Willenhall and Sandwell College, to meet the uniqueness of the design and effect required. 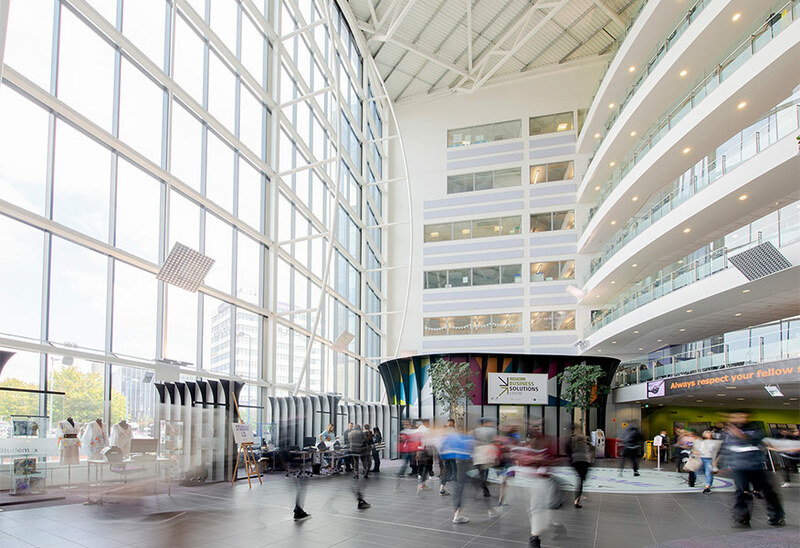 High output luminaires were specified, to ensure complete illumination throughout the atrium. The new lighting system has gone some way to help reduce running costs at the college, significantly lowering energy consumption and maintenance costs, saving money for Sandwell College in the long term. Tamlite understands the importance of lighting in communal spaces. It’s crucial to make the right first impression, and building entrances need to be illuminated with creative, accent lighting, to impress occupants and grab their attention. All Tamlite Sales Engineers are LIA certified, and our Lighting Design team have 100 combined years of experience in lighting design. As members of RELUX, they are able to design bespoke project solutions. If you have specific lighting requirements in your educational facility, see how our Technical Lighting Team can help you, for more information click here.